Leading Exporter of programmable logic control module, additional control module and process control simulator from Ambala. 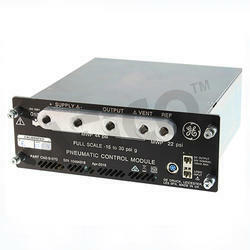 This unit is designed as an add on module to a range of Control Apparatus to provide demonstration of more advanced experiments. The unit enables particular systems to be extended to provide more complex experiments in process control such as dual ratio control, cascade control and feed forward control. 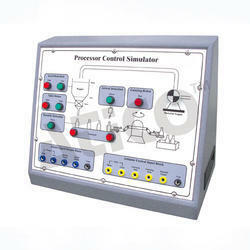 Advanced Technocracy Inc. is Manufacturer, Exporter & Supplier of Process Control Simulator. The Process Control Simulator is a self- contained full sized industrial system to allow study of principles of use of actual industrial control equipment in context of process operations. Simulator may be used to study pressure, flow, temperature, level and cascade control utilizing pneumatic and 3 microprocessor P.I.D. controllers. System comprises instrument console and a framework carrying process equipment, console contains electronic flow, temperature and level controllers, chart recorders, mimic diagram and electrical switchgear. Process experiments consist of water tank, circulating 1 kW pump, 7.5 kW electrical water heater, 2.5 meter glass vessels, 2 electrically positioned control valves and a water/raw water heat exchanger complete with 10 hand valves to configure water for particular experiment & conditions. 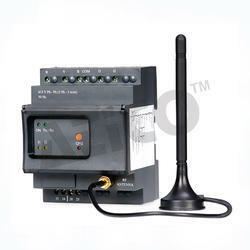 Temperature loop controlled by single loop 3 term microprocessor controlled temperature controller complete with composite tuner. Looking for Process & Control Engineering ?